It’s no secret that modern web browsers store every bit of information about our every step and action. This data can be viewed in the browsing history – cache, cookies, downloaded files. However, almost every Internet user has always wanted to browse anonymously and work on the Internet, without leaving traces in the system. Private Internet access is especially important when we work in public places (Internet cafe, library, office, airport) or work at someone else’s computer where others can easily access our search history. But don’t worry. In this article, we will tell you how to go incognito and protect your privacy while working online. Of course, you can always clear the cache, cookies and history after each web session. But, fortunately, there is an easier way to do a search incognito. Every browser has an incognito mode. This means that the sites visited and files downloaded are not saved in the browsing history and the cookies are deleted at the end of the session. The only things that others can view are the saved bookmarks and browser settings you made. Let’s see how to open incognito windows in different browsers. 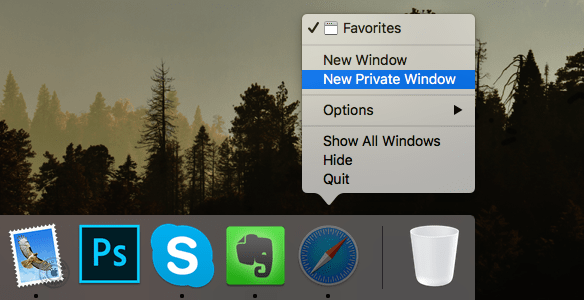 In the Menu bar, click File → New Private Window. 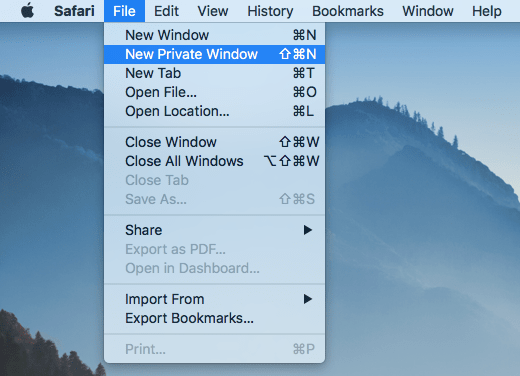 A new window will appear, where Safari will keep your browsing history private. After you close the window, Safari won’t remember the pages you visited, your Search history or your Autofill information. 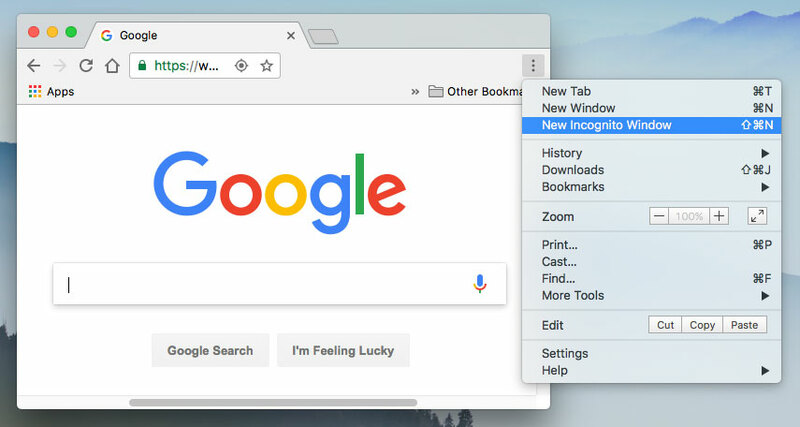 Another way to open the incognito window of Safari is to make a right click on the browser’s icon in the Dock panel and to select New Private Window. The first two ways described above are also true for Chrome. Additionally, you can open the Google Chrome private browser right from its main window. Click the three dots icon in the top-right corner. 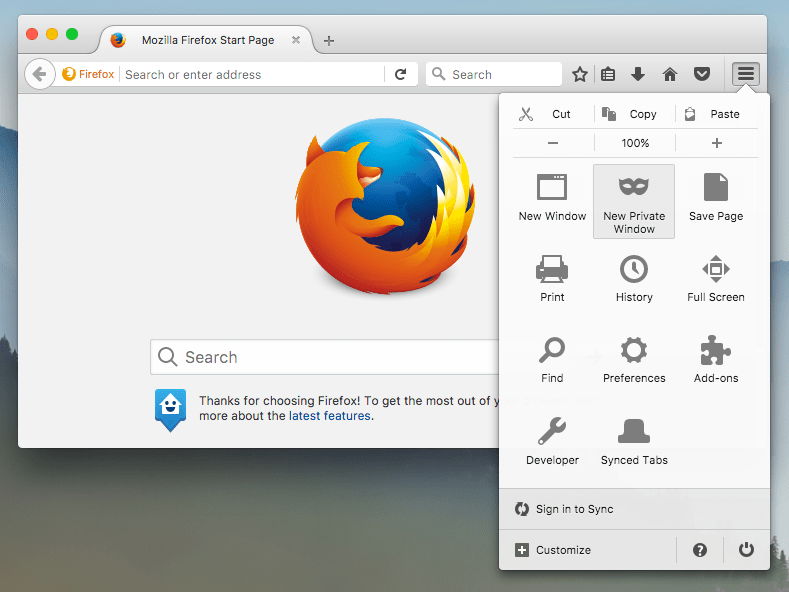 For Firefox, the private search engine can be enabled from the Menu tab. Open Menu by clicking the appropriate icon in the top-right corner → select New Private Window from the list of options. You can also press the Shift+Command+P shortcut on your keyboard or again use the Apple Menu Bar or Dock panel to enable a private Internet search. In conclusion, we would like to point out that no private browser can give you an absolute guarantee of online privacy and data security. Although using the private mode is your first step to online security, we recommend that you use more reliable tools for anonymous searching, for example, VPN (a virtual private network). 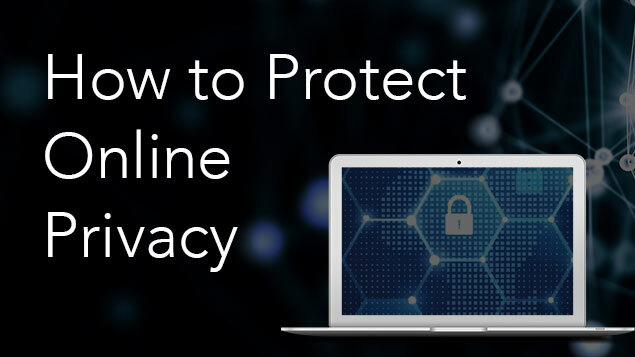 Besides private Internet browsing, VPN connection allows you to prevent identity thieves, get access to geo-restricted websites, hide your IP address and enjoy more benefits. Try VPN Client for Mac. You can download it absolutely for Free from the Mac App Store and get the 7-days Starter Plan with unlimited VPN bandwidth. Prev:What is my IP address?